President Obama and Governor Romney’s views represent those of their constituency. According to a 2011 Gallup poll, 70% of Democrats “Worry a great deal / fair amount” about climate change, as opposed to only 31% of Republicans. This difference in the Democratic and Republican belief systems can have significant policy impacts regarding climate change. From a scientific perspective, some of the general differences between Democrats/liberals and Republicans/conservatives can be observed in the workings of the brain. Much of the neuroscience research, however, that has been done in this area is inconclusive, and the results are controversial. This article is not an exploration into the why or how these differences formed but it is an explanation of the differences that were discovered amongst the representative samples of subjects who self-identified as Republicans or Democrats or conservative or liberal. A study conducted at University College of London in 2010 concluded that conservatives have a larger amygdala than liberals. 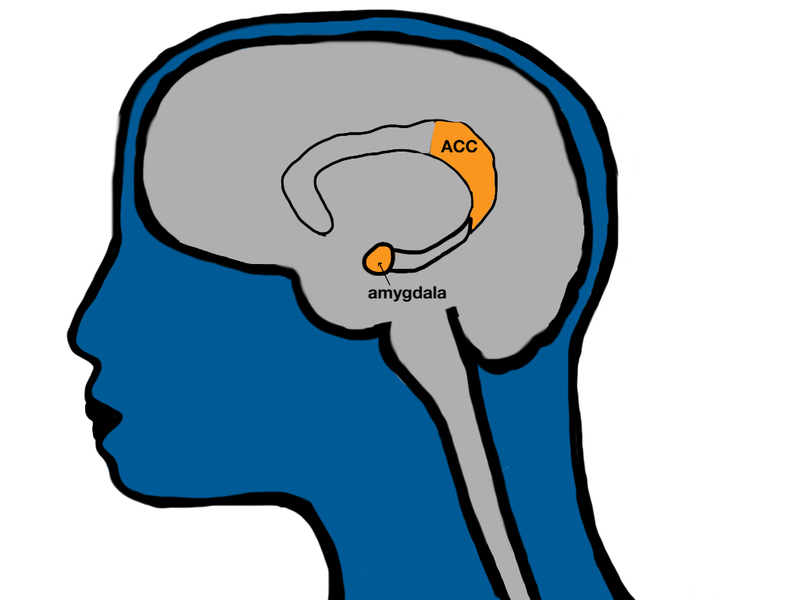 The amygdala is responsible for emotional reactions that activate the fight-or-flight response. Other parts of the brain often moderate the primitive survival instincts of the amygdala and guide human behavior. The methods used for the study and the results are highly controversial and have not passed the scientific rigor of replication and peer review. Furthermore, there is no scientific correlation between the size and activity of the amygdala. There are other studies, however, which found differences that have been replicated by many scientists. A consortium of scientists based in San Diego, discovered that when participating in risk-taking behavior, Republicans show a higher level of activity in the amygdala than Democrats. Democrats, on the other hand, show higher activity in the Anterior Cingulate Cortex (ACC) when presented with the same risk-taking tasks. The ACC is involved in many functions, both cognitive and emotional, but one of its primary jobs is to resolve conflict. A study published in Nature Neuroscience also describes higher activity in the ACC when liberals made a mistake in pattern recognition. They were able to correct the mistake and improve performance at a faster pace than their conservative counterparts. Other parts of the brain are also involved in processing information and issues on the political spectrum. As such, these differences are not sufficient to pinpoint brain dynamics. More extensive studies are required to both understand the differences and the means for communication with brains that exhibit these differences. For now, how do we negotiate the differences in the belief systems and find a common ground? That’s beyond the scope of this article. But, understanding some of the differences in brain structure can at least provide an insight that the differences are hardwired in the brain. There are many studies that demonstrate that brain chemistry can be changed. This means that communication and negotiation can serve a useful purpose. If Mitt Romney and President Obama cannot agree, perhaps they can find a way to talk to each other and negotiate differences with a common goal of creating a harmonious existence for all Americans. Leena Prasad has a writing portfolio at http://FishRidingABike.com and a journalism degree from Stanford University. Links to earlier stories in her monthly column can be found at http://WhoseBrainIsIt.com. 2. David M. Amodio et al. Neurocognitive correlates of liberalism and conservatism, Nature Neuroscience, September 9, 2007. 3. Mooney, Chris. The Republican Brain: The Science of Why They Deny Science–and Reality. John Wiley and Sons. 6. In U.S., Concerns About Global Warming Stable at Lower Level, Gallup Poll, March 14, 2011[http://www.gallup.com/poll/146606/Concerns-Global-Warming-Stable-Lower-Levels.aspx].